Hello. We are Naylors, your Commercial Property People for the North East. Established for over 25 years, we are a highly regarded firm of Chartered Surveyors and Commercial Property Agents based in Newcastle upon Tyne. You will find our straight forward, open and honest approach refreshing. Experts in our respective fields, we work together to provide a first-rate joined up service across all sectors. We are, above all, a people business – we always put our client’s needs first. At Naylors we believe that people who are specialists give the best advice. That’s why our services are broken down into specific areas, with each service led by a senior Naylors expert. It’s this structure which allows us to offer a bespoke service providing solutions across all property types. Our services include Property Investment, Industrial Agency, Office Agency, Building Consultancy, Property Management, Facilities Management, Valuations & Lease Advisory, Rating and Development & Consultancy. "I have used Naylors for 22 years and they have always offered professional advice on all aspects of commercial property including; Renting, Rent negotiations , Dilapidations, Sub-letting, Marketing, Service charges, and Property Management. I have no hesitation in recommending them as a key professional service provider for your business". "I think the service provided by Naylors both from the office agency team as well as the property management team is superb. The advice is always clear, honest and in my experience, always available immediately. It is good to know there is somebody I can contact quickly and often unexpectedly with a query and be given a reliable response." "Naylors provided a professional and efficient service when dealing with the sale of the charity’s premises in Gateshead. Regular updates were provided ensuring we were always aware of the current position regarding the sale. The staff involved were particularly polite and helpful." "Naylors successfully handled the letting of 3 offices for us and we would happily use them again for our commercial property matters. Thanks to the team at Naylors our estate is now fully let." "I have worked with Naylors for all my property requirements in the north east for 25 years. Over the years Fergus has become a friend and someone I can trust for straight forward property advice. I recommend Naylors to my London colleagues without hesitation". 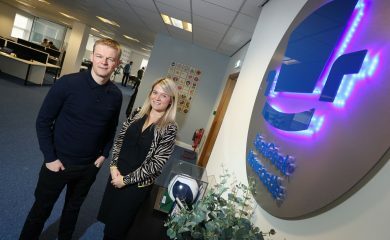 Our Office Agency team has brokered a successful letting in South Tyneside to an innovative firm operating in the 'Software as a Service' sector. 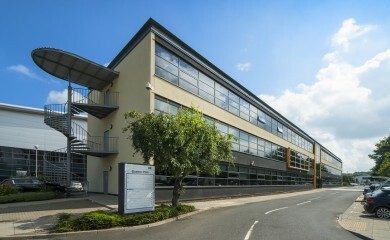 The letting of a second floor suite at Queens Park marks the growing strength of the Team Valley office market. Looking for an update on the market? 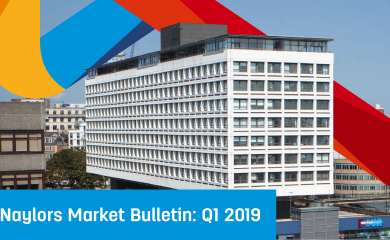 Find out what's happening in the Investment, Industrial and Office sectors with our latest North East Market Bulletin.